High performing companies and professional sports teams, like our Ottawa Senators, have this in their room: Team Chemistry. This corporate client has seen a dramatic turn-around on their team this year. Key things that have changed include the chemistry in their dressing room, a positive buy-in to their system, and consistent messaging from key leaders. The proof is in the pudding, particularly in their playoff run. Building a supercharged organization is both an art and a science. Deloitte commissioned a research project by biological anthropologist Helen Fisher and molecular biologist Lee Silver. They surveyed 190,000 leaders and teams in thousand of interactive sessions. They identified four key types of styles. The result is a system called Business Chemistry. “Guardians value stability, and they bring order and rigor. They’re pragmatic, and they hesitate to embrace risk. Data and facts are baseline requirements for them, and details matter. Guardians think it makes sense to learn from the past. 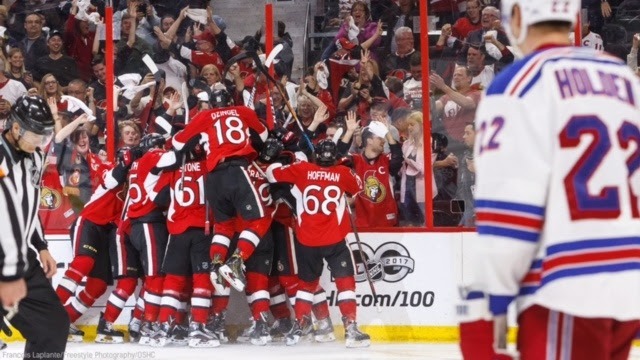 Building a great team like the Ottawa Senators requires a mix of these four types to find a balance that complements and spurs each member towards excellence. As you consider who to hire next on your team, think about what types of people you currently have and who you can add in your “dressing room” to help create a winning organization. CareerJoy works. If you’re looking to create productive and engaged teams, our team can help. P.S. Looking for a motivating keynote or workshop for your team? We create inspiring, practical, and educational events to engage your group. Connect with Lee Grant, VP Corporate, at 1-877-256-2569 x 400 for details.